Ducati Scrambler 1100 has been launched in India at a price of Rs 10.91 Lakhs (ex-showroom Pan India). It comes in base, Special and Sport editions. 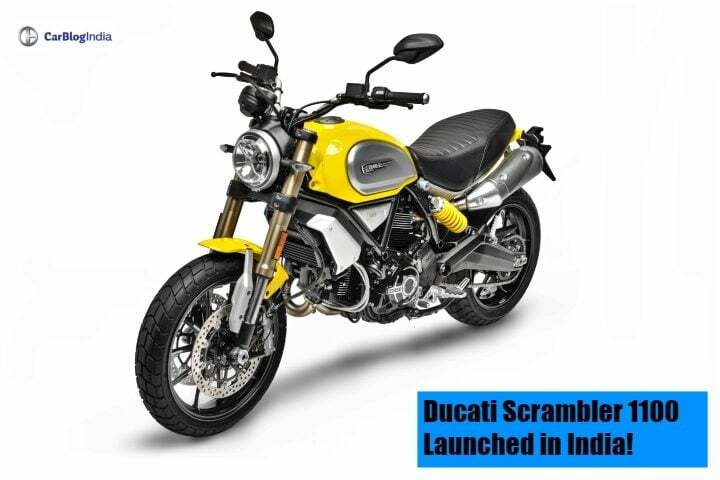 The bookings for the Scrambler have begun across all Ducati showrooms in India. Check out more details ahead. 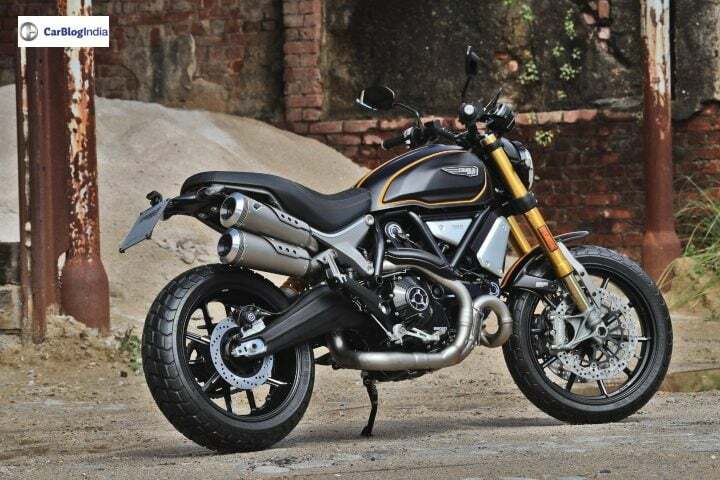 Ducati Scrambler 1100 superbike has been launched in India. It comes in three variants – Base, Special, and Sport. The Base variant retails at Rs 10.91 Lakhs, the Special at Rs 11.12 Lakhs and the Sport at Rs 11.42 Lakhs (all prices ex-showroom Pan-India). It retains its iconic 70s look with its perfect Scrambler body. 1100 is the top of the line model in the whole Scrambler family. The Neo-naked sports bike gets a new engine and latest technology, making it more desirable. Ducati Scrambler 1100 is available in ’62 Yellow and Shining Black colour, with the Sport and Special having Viper Black and Custom Grey with yellow highlights on the tank colour schemes respectively. 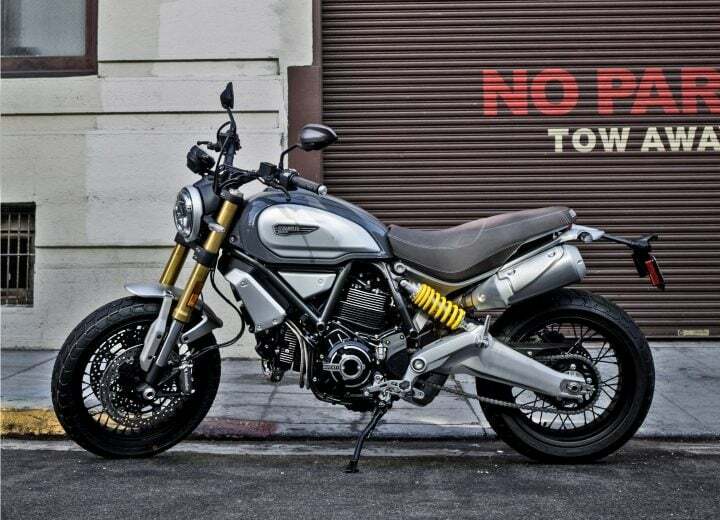 The Ducati Scrambler 1100 gets a new 1079cc L-Twin Cylinder air-cooled engine. This beastly engine produces 85 BHP @ 7500 RPM of power and 88 Nm @ 4750 RPM of torque. The engine comes mated to a 6-speed wet multi-plate clutch. The fuel tank capacity of the Scrambler is around 15 Litres and the weight is around 206 Kgs. An agile chassis set-up that has been developed for the bike for higher performance results. It comes with a ride-by-wire throttle system, which gets Active, Journey and City riding modes. According to the riding mode, the throttle response and power figures change. In the front, Ducati Scrambler 1100 gets upgraded the telescopic fork suspension and in the rear, it gets Kayaba Mono-shock absorbers. For braking, it gets 320 mm dual front disc brakes and a single disc brake in the rear wheel. It also gets Bosch Cornering ABS and Traction control system. It also gets a dual upswept exhaust system. Features onboard include different Riding modes (Active, Journey, and City), Power modes, Dual Safety Pack (Cornering ABS and Traction Control), LED Light guide, LED rear light with diffusion light, LCD Instruments with gear and fuel level indications, Steel Tank with interchangeable side panels and Under Seatstoragee compartment with USB socket. The Special variant comes with spoked wheels, chromed exhaust headers, a brown leather quilted seat and a brushed swing arm. While the Sport comes equipped with adjustable Öhlins suspension for better suspension but uses the same wheel of Base variant. It also does away with the Marzocchi forks and Kayaba monoshock in favour of fully adjustable Ohlins bouncers.